House of Reps member, Garba Durbunde, kidnapped along Kaduna-Jere road – Royal Times of Nigeria. 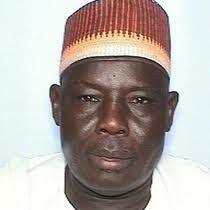 A member of the House of Representatives, Garba Durbunde, has been kidnapped. Details surrounding his kidnap are still sketchy but it is said that Garba who Sumaila/Takai federal constituency, was kidnapped along the Kaduna- Jere road while on his way to Kano from Abuja yesterday. Efforts are now being made by security agents to trace his abductors and rescue him safely.